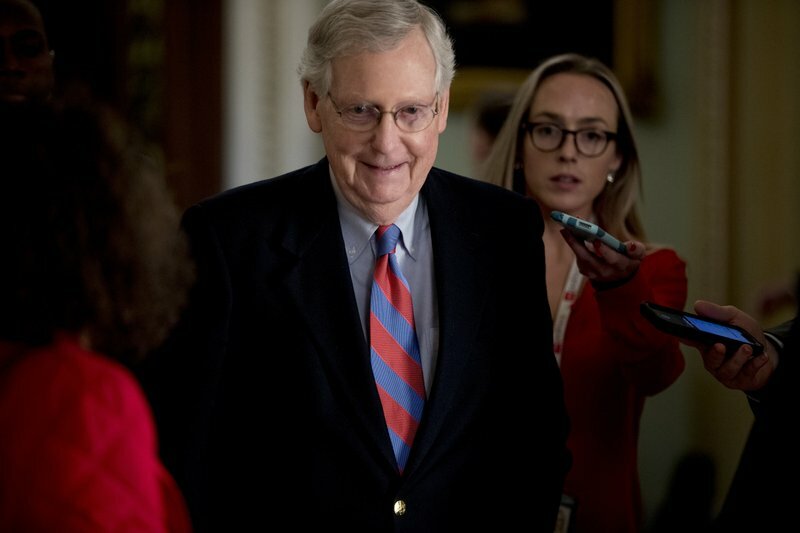 WASHINGTON (AP) — Senate Majority Leader Mitch McConnell says Islamic State and al-Qaida militants still pose a “serious threat” to the United States — and he’s cautioning the Trump administration against an early exit from Syria and Afghanistan. He says he plans to propose an amendment to highlight a need for diplomatic engagement and political solutions to the conflicts in Syria and Afghanistan. President Donald Trump has announced a U.S. pullout from Syria — a decision that prompted Defense Secretary Jim Mattis to resign. Trump also has ordered the military to develop plans to pull out up to half of the 14,000 U.S. forces in Afghanistan. Meanwhile, directly contradicting President Trump, U.S. intelligence agencies told Congress on Tuesday that North Korea is unlikely to dismantle its nuclear arsenal, that the Islamic State group remains a threat and that the Iran nuclear deal is working. The chiefs made no mention of a crisis at the U.S.-Mexican border for which Trump has considered declaring a national emergency.Their analysis stands in sharp contrast to Trump’s almost singular focus on security gaps at the border as the biggest threat facing the United States.